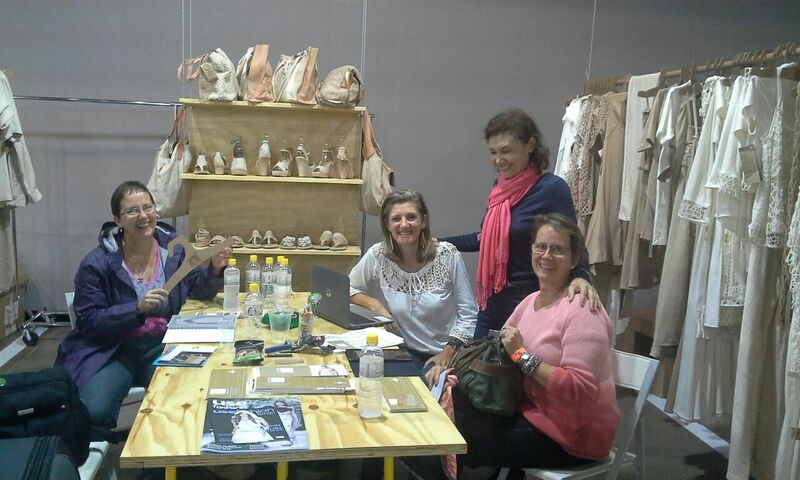 The Natural Cotton Group – NCC Ecobrands, participated of the 6th Salão +B Business Fashion and Creative Content of 26-28 May at the Brazilian Sculpture Museum – MuBE in São Paulo. The event organized by the Brazilian Association of Fashion Designers – ABEST brought together 40 authorial Brazilian companies of fashion that had 2016 Summer collections to national and international buyers. 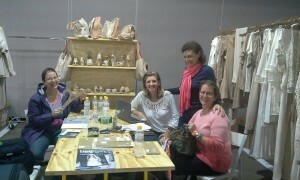 The NCC Ecobrands made ​​a lot of contacts and experienced good times. Among them, we highlight the visit of Mr. Alfredo Mascarenhas, our first consultant to help the group’s internationalization. “He taught us a lot. Since fill of the Invoice as to give a handshake to representatives of foreign companies”, said Francisca Vieira, head of NCC Ecobrands. Another important visit was to Geni Rodio, consultant in Adequacy of Product Development and Creative workshop for textile chain of the Brazilian Association of Textile and Apparel Industry (ABIT). “She was always by our side, helping in developing and encouraging our work” he says. Geni praised the NCC Ecobrands stand in Salão +B : “It was simple and natural. I’m very proud of the group Natural Cotton Color”. 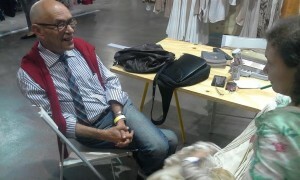 Alfredo Mascarenhas, the first Natural Cotton Color Group consultant – NCC Ecobrands for the international market. Francisca Vieira (NCC Ecobrands) with Geni Rodio, consultant ABIT. 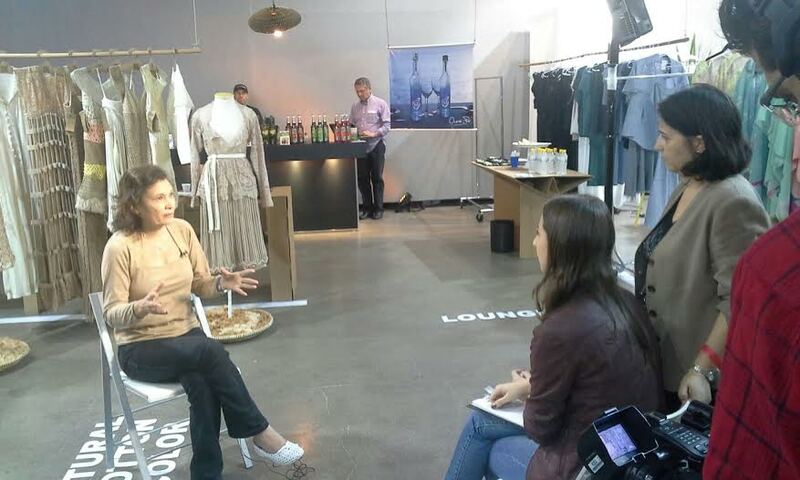 The hight point of the presence of the NCC Ecobrands in Salão +B were two interviews: one, granted to a fashion journalist Angelica de Diego, of the Spanish news agency EFE, and also for the journalist Isabela Duarte and for the producer Debora Verdan of Jose Paiva Foundation (for the production of the Criativos program, Sky channel 20). Among the business made in Salão +B, the highlight of an international sale: Layla will take the collection to Saudi Arabia. As national sales example, the novelty is that the NCC Ecobrands products will also be on Boutique Naide (Aclimação, south of São Paulo). Angelica Diego, Spain Fashion journalist. Francisca Vieira in the interview Programa Criativos. Customer Layla, buyer of Saudi Arabia. 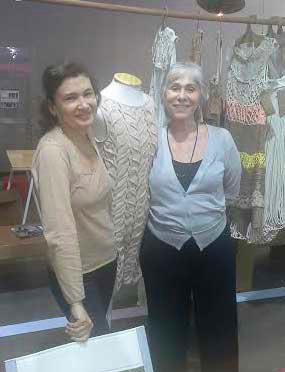 Last request before we return to the Paraíba: customers Naide Boutique, shop in the South Zone of São Paulo. Cotton T-shirt has history. Did you know?